Reminder! Garden launch party tomorrow! We’re having our garden launch party tomorrow! 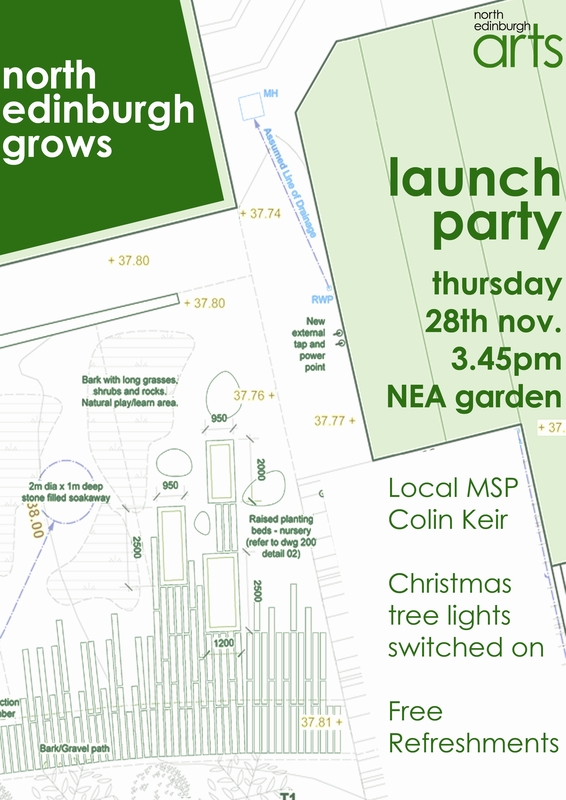 Please come tomorrow (Thursday 28th November) at 3.45pm for the launch of North Edinburgh Grows. This is to mark National Tree Week and to mark the start of the work on the garden – we’ll be switching on the lights of our Scottish pot-grown Christmas tree (our first new tree for the garden! ), with the help of local MSP Colin Keir. Refreshments will be available (mince pies and non-alcoholic drinks). We would be delighted if you could make it!